Fly in to Port Blair Airport. Positive Ventures representative will meet and assist you at the Veer Savarkar Airport. Board the waiting vehicles, drive to your hotel and check in. First half of the day is at leisure. Later in the afternoon visit Cellular jail followed by light and sound show. . This The day draws to a gentle close with the Sound and Light Show at the historic Cellular Jail which gives you a vivid experience of its strong association with the freedom fighters and their struggle for independence. Overnight stay at hotel. Chatham Saw Mill, Samudrika, Anthropological Museum. Sandy beach and lush green forest, Radhanagar Beach. After breakfast get transfer to Phoenix Bay Harbor to catch a ferry to Havelock. The Island is one of the most beautiful and largest islands of Ritchie's Archipelago and is a placid heaven like no other, thus acting as a paradise to marine world explorers. Stay here overnight amongst sandy beach and lush green forest in a comfortable beach resort. 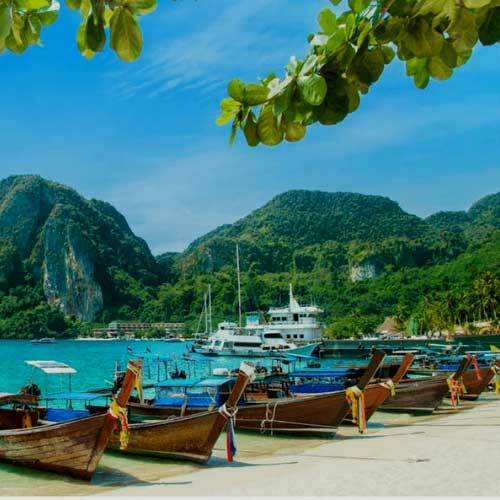 After breakfast, the cab will be provided to pickup and drop guest to harbor, catch a ferry to Niel Island as per ferry timings advised.Neil Island dwells with lust green surroundings of paddy fields, banana plantations and tropical trees.Blair. Pristine sandy beaches at Sitapur, Bharatpur and Laxmanpur are some of the best beaches to explore . On arrival at Neil island, get transfer to Hotel/Resort, relax for while and sightseeing to above mentioned places in a private cab, overnight stay in Neil island. After breakfast get tour start in Neil Island covering the reminding all the points, After having the lunch driver transfer to Harbor to catch a ferry to Port blair. Port Blair and about 35kms from Neil island. overnight stay in a comfortable hotel in Port Blair. • Neil & Havelock Island all pick & Drop & sightseeing all transfer in a/c vehicle as per the itinerary. • All entry permits/ tickets, ferry tickets and forest area permits wherever applicable.